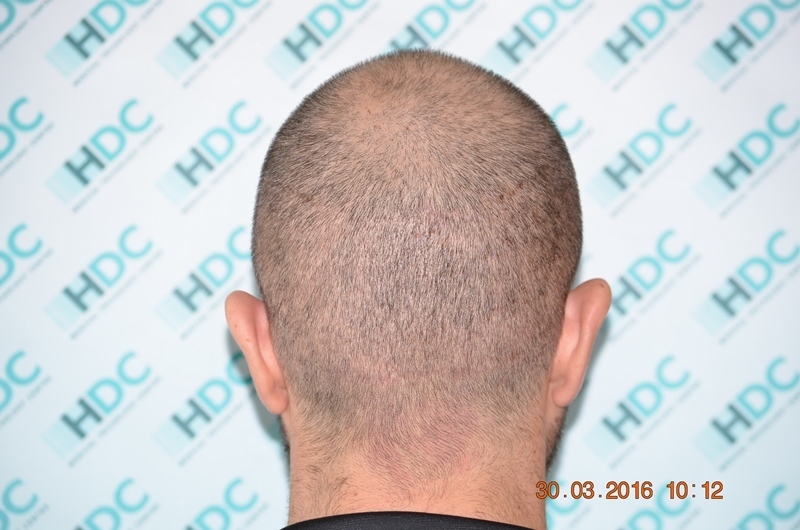 He is a Norwood class 3 and HDC has transplanted 2900 FUE grafts. 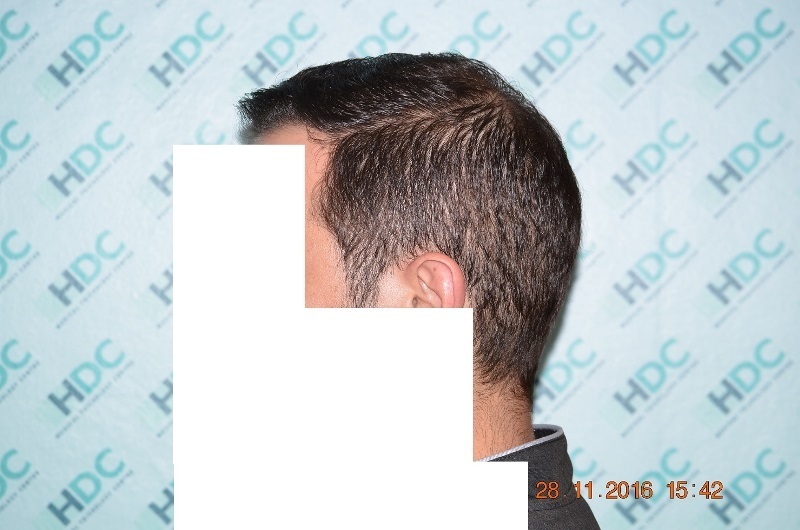 You will notice that the density for the front 1 inch was slightly higher than behind, due to the fact that he has some existing hair. 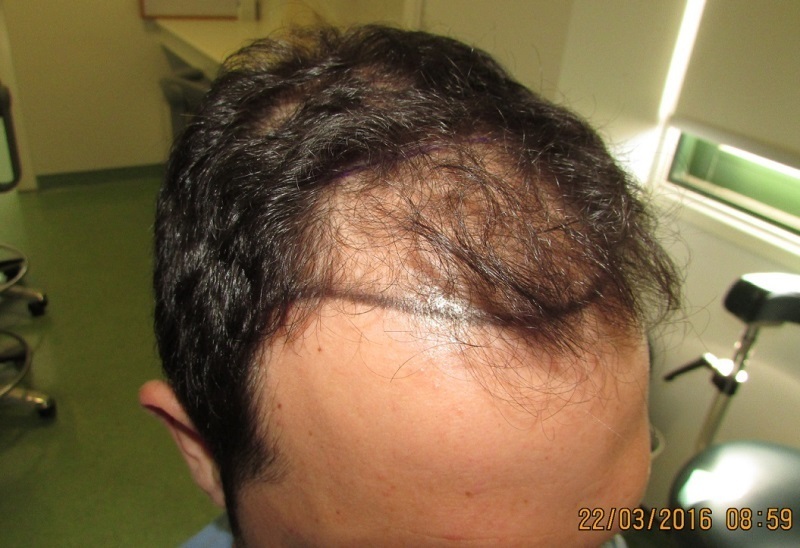 You will also notice that the transplanted hairline is slightly higher than his existing one so some of his thinning hair stayed intact, in front of the transplanted ones. 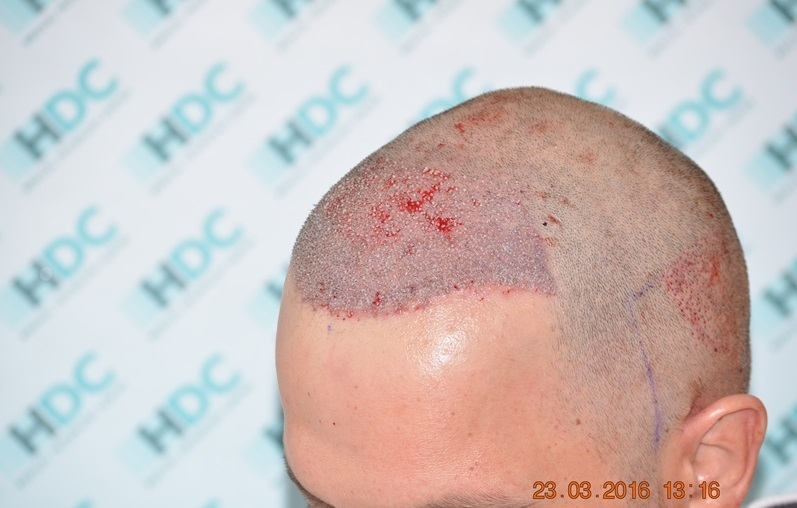 We present the post op, immediately after, 3 days after and 1 week after, for you to notice the healing of donor and recipient. 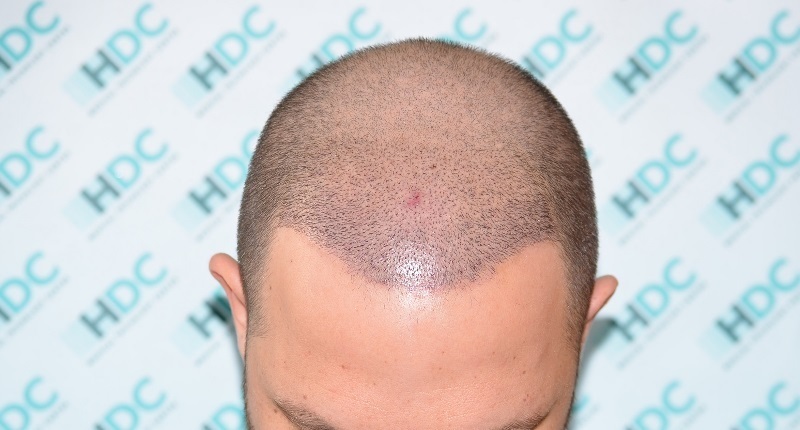 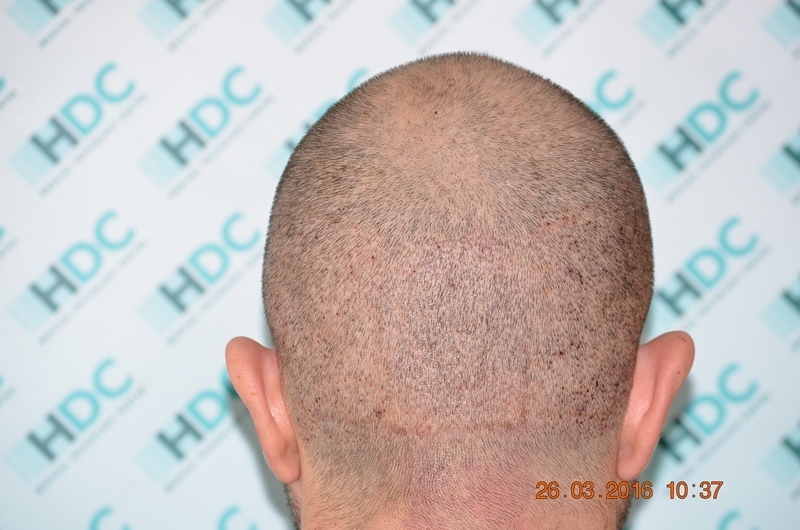 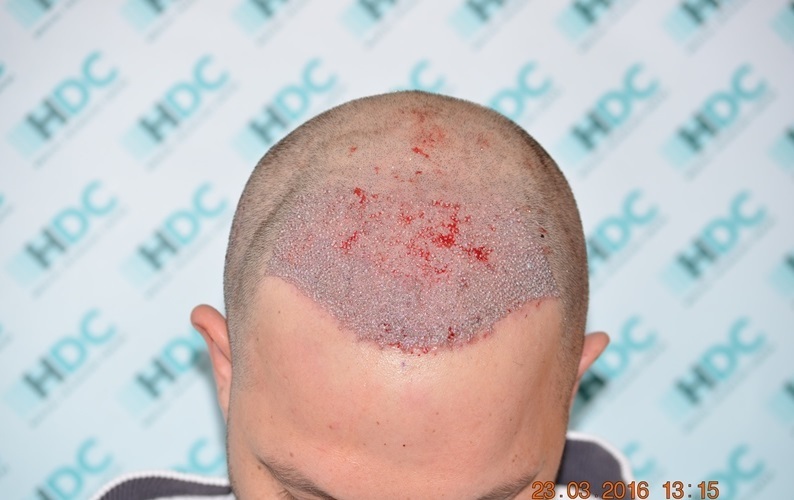 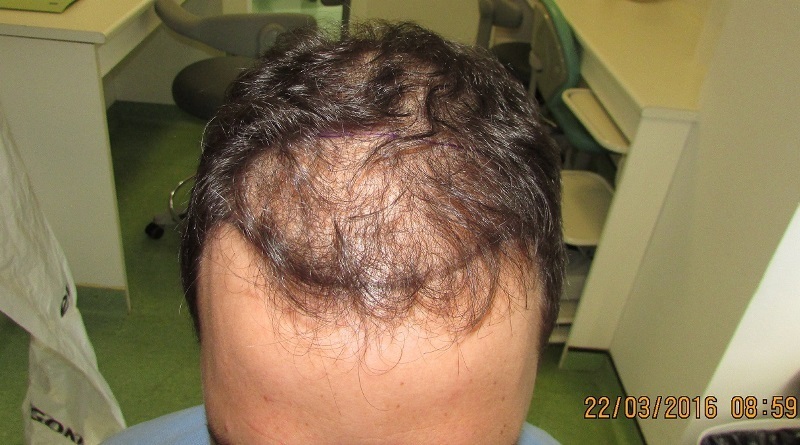 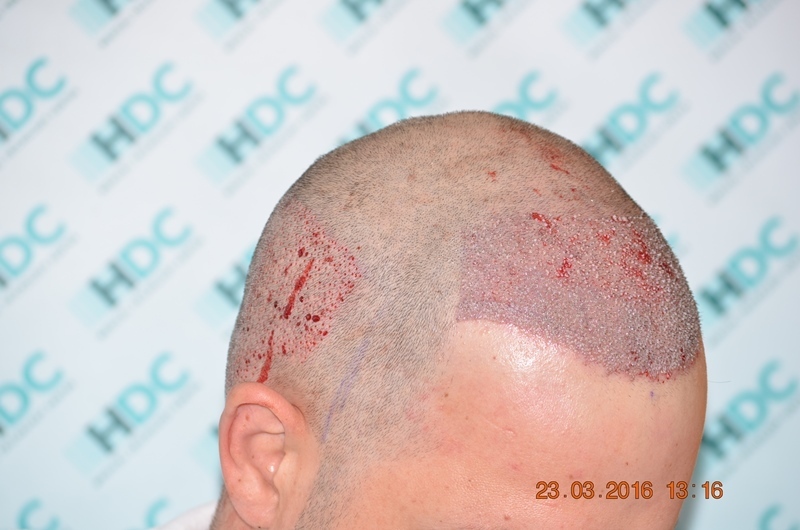 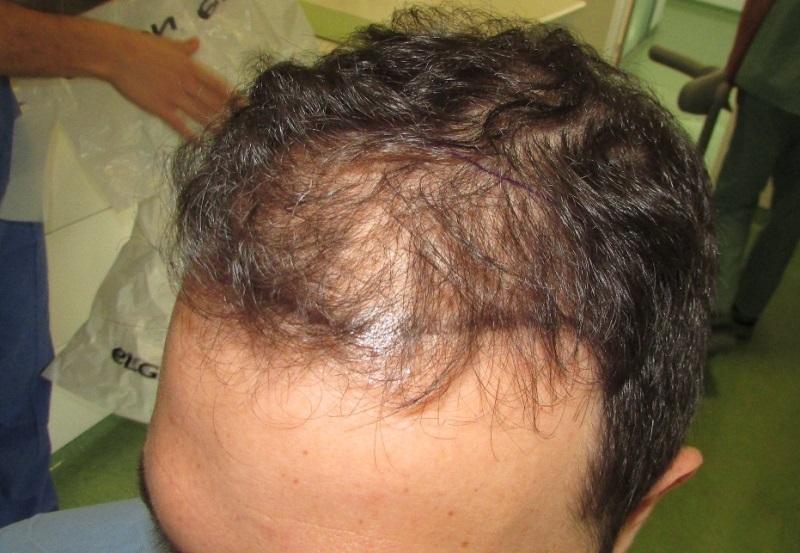 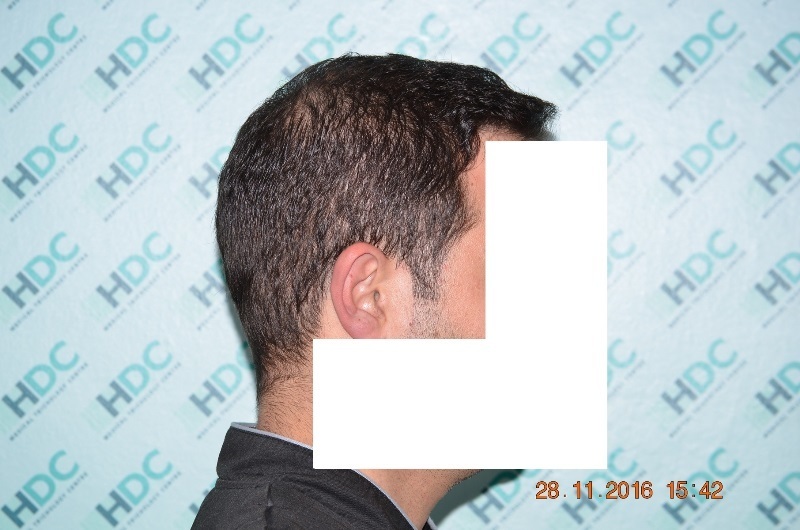 The result is 8 months after and it looks very natural so that you can’t tell that this patient underwent a hair transplantation surgery. 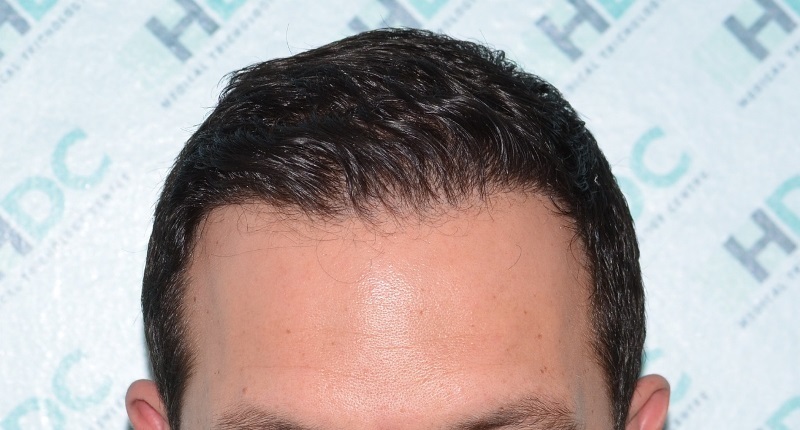 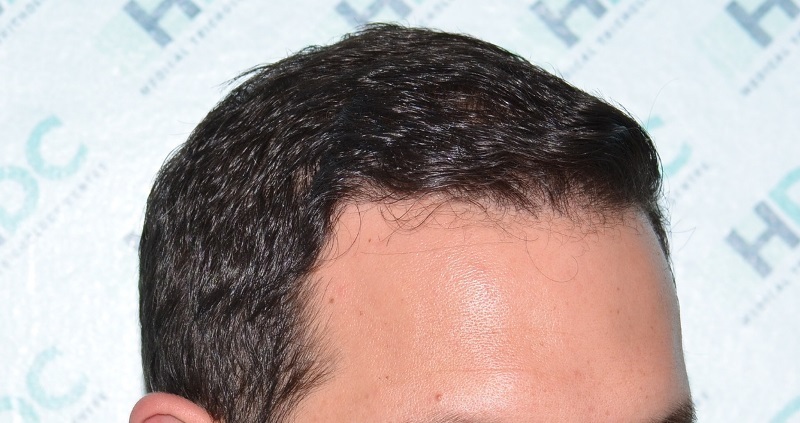 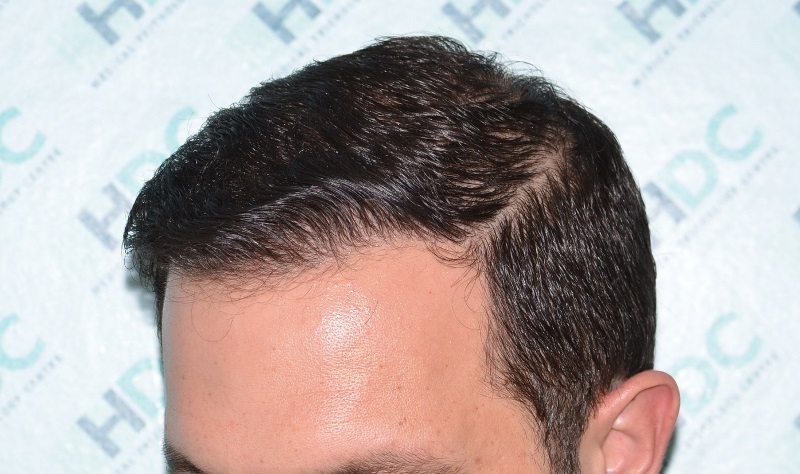 A very natural hairline, one of the better ones I’ve seen.